The Al-Anon Family Groups are a fellowship of relatives and friends of alcoholics who share their experience, strength, and hope, in order to solve their common problems. We believe alcoholism is a family illness, and that changed attitudes can aid recovery. 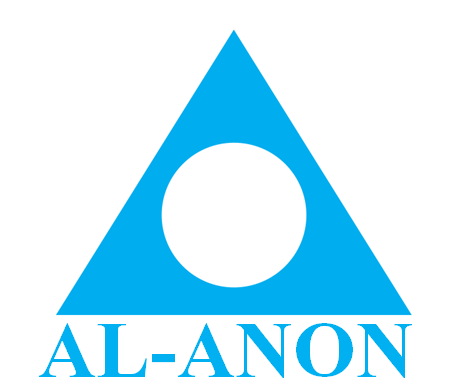 Al-Anon is not allied with any sect, denomination, political entity, organization, or institution; does not engage in any controversy, neither endorses nor opposes any cause. There are no dues for membership. Al-Anon is self-supporting through its own voluntary contributions. Help is here for the asking. Please take a moment to ask yourself these questions: "Are You Troubled By Someone's Drinking?" or "Did You Grow Up With A Problem Drinker?" If you identify with some of these statements, it is important to know that help and hope for friends and families of alcoholics is just a phone call away.